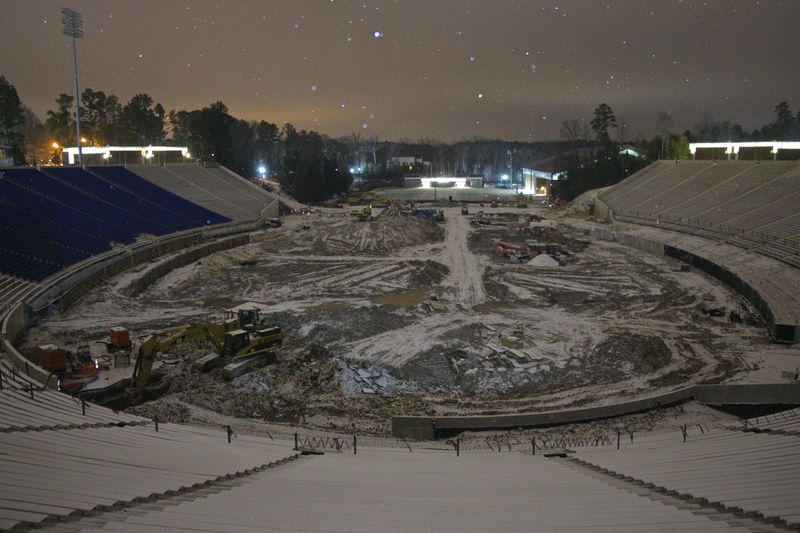 Wintry mix and flakes started coming down last night in the Triangle area so Duke decided to cancel classes after 5 p.m. yesterday and every class before 11 a.m. today. First I went to the chapel. Students didn’t have classes last night but some of them went out to go to the library or their dorms. Others were just looking for a place to eat on campus for some of the food places were closed as well. 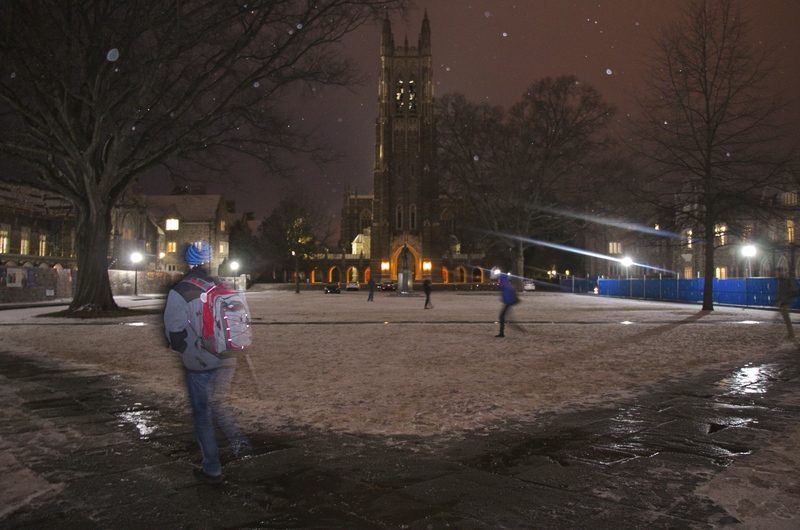 In the meantime, a slight layer of snow covered the quad before the chapel. Then I went to the football stadium, which is under renovation nowadays. The place looked deserted and it was pitch dark. Fortunately I had brought a speedlight flash with me. I also found a column to lie back on to use a 1/13 shutter speed without trouble.